The Kingdom of Fife is a beautiful area to the North of Edinburgh. With its industrious towns in the south west to the picturesque fishing villages of the ‘East Neuk’ and the world-famous home of golf and University town of St Andrews. Fife has a varied and interesting history and is an important region in history and in modern Scotland. 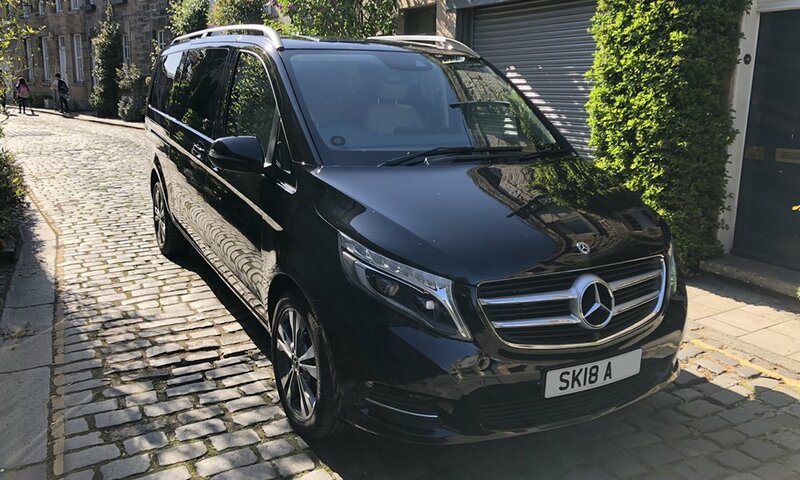 Each one of our private tours is conducted in our premium Mercedes Benz minivans, ensuring your comfort as we venture along the small cobbled streets around Edinburgh and narrow back roads of Scotland. Your knowledgable kilt-wearing driver & guide will tell you the stories and show you the sights on this tour. We offer flexibility and your time inside and outside the vehicle is up to you. Upon departure from your accommodation or meeting point we leave Edinburgh and cross the Forth bridges at Queensferry. The famous cantilever designed Forth Rail Bridge, opened in 1890 can be seen spanning the river next to the 1964 road bridge, now replaced by the 2017 Queensferry Crossing. 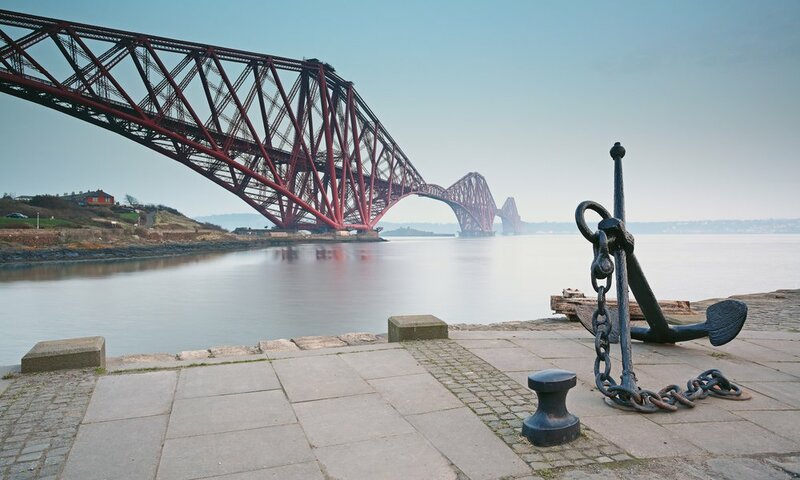 We follow the Fife coastal route through initially industrial towns which were historically mining, brewing and distilling and still carry a rich heritage of their industrial pasts. As we pass Lundin Links, we start exploring the picturesque East Neuk of fife. This sleepy agricultural peninsula offers stunning views from the coastal road as we pass through the fishing villages of Pittenweem, Anstruther and Crail. These towns are full of character, with old fishing boats, cobbled winding streets and small cottages lining the harbour. As we travel further north we start to see the outline of the town town of St Andrews. There has been a settlement at St Andrews since the 6th Century and has been a key part of Scotland’s Religious, Educational and cultural development. The town has many interesting and varied places to visit not least St Andrews Cathedral, The University and the world-famous fairway on St Andrews Links Golf Course. 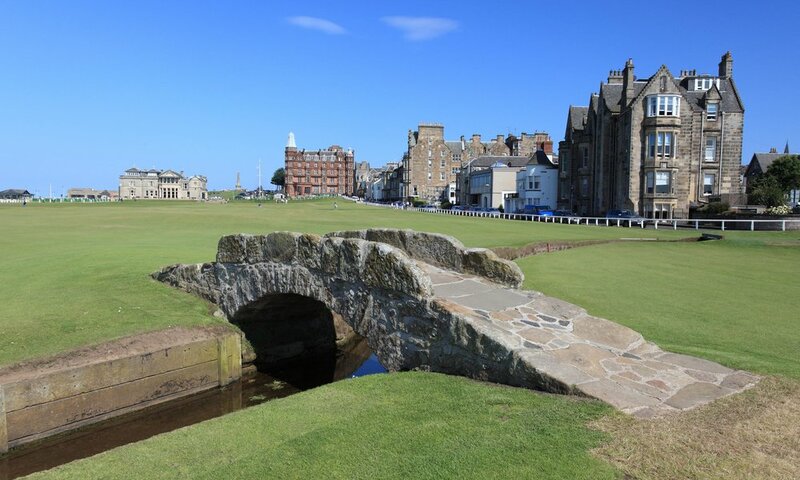 St Andrews is the home of golf (and the inventor of the modern game is buried in the Cathedral) and no visit to St Andrews is complete without seeing the famous fairway on the Royal And Ancient Golf Club Of St Andrews before driving across the green (between golfers!) and taking a photo at the famous Swilcan Bridge with the St Andrews Links clubhouse in the background. St Andrews Castle offers a fascinating history and is worth a visit during our time in the town. Situated on the Dating back to the 13th century, the castle was ruined a number of times in the Scottish Wars of Independence, was a prison and was held under siege in 1546 as part of the Scottish Reformation. Despite additional fortification being added to the castle a fleet of French ships ended the siege with heavy artillery bombardment in 1574. There are many interesting parts of the castle to explore including secret tunnels (only rediscovered in the 19th century) and a Bottle Dungeon, so called after its narrow neck and large inescapable body. 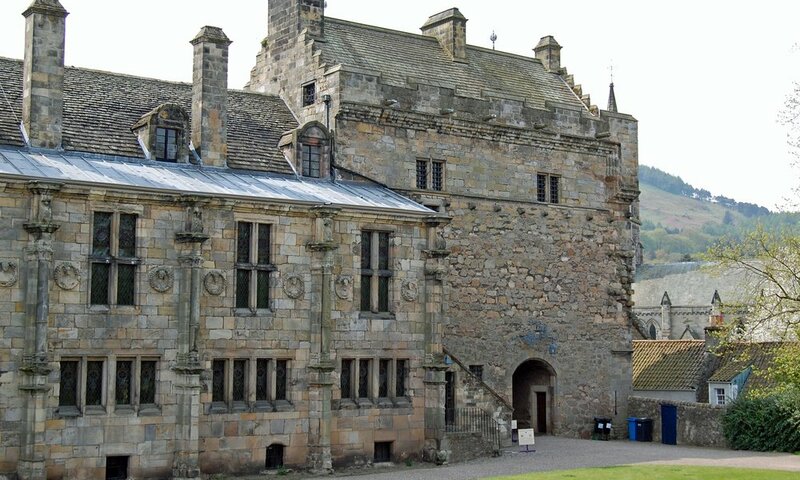 Having completed our trip to St Andrews we venture west and if we have time we will stop at Falkland Palace, a 13th century hunting lodge which was the resting site of King James V, father of Mary, Queen of Scots who passed away when Mary was only 6 days old. His body lay in the chapel at Falkland Palace for almost a month before being carried to Holyrood in Edinburgh. Our minivans offer climate control, privacy glass and excellent legroom. We provide experienced tour guiding services of Edinburgh and Scotland. We pride ourselves on being professional, friendly and knowledgeable. Experience a bespoke tour of Scotland in one of our premium Mercedes Minivans and be shown the big sights and hidden gems by your kilt wearing driver guide.